Following Argentina’s exit from the World Cup, Lionel Messi has been making the most of his summer break with his family in Ibiza. 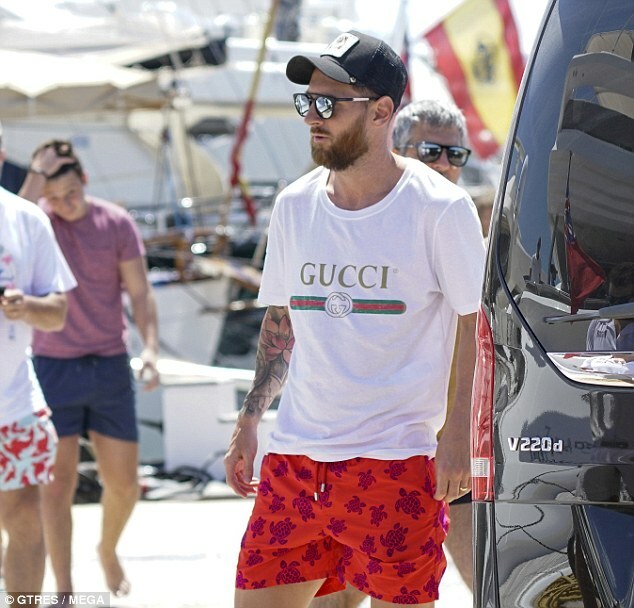 Messi – knocked out of the World Cup in the last-16 stage against eventual winnersFrance – is currently soaking up the sun on holiday with his wife, children and close friends. Unlike his rival Cristiano Ronaldo, who has just started his career with his new sideJuventus following his sensational £100million move, Messi is enjoying the chance to recuperate ahead of the new domestic season. The Barcelona star was spotted unwinding on a luxury yacht in the sun after touching down in Ibiza on Monday. 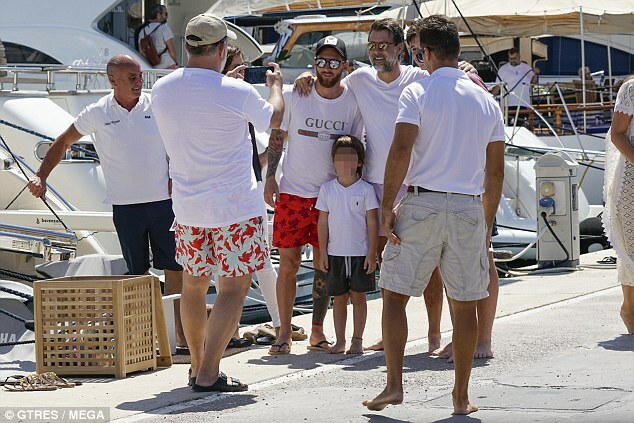 After enjoying some quality downtime and close chats with his loved ones on the boat, 31-year-old Messi decided to then take a splash in the sea to cool down. 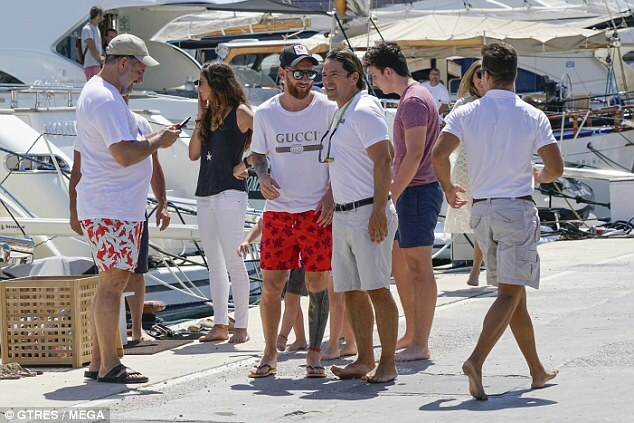 However, the five-time Ballon d’Or winner hasn’t enjoyed peace and quiet all day with his wife Antonella and Co.
Before heading onto the yacht on Tuesday, Messi took time out of his schedule to pose for a series of photos with unsuspecting yet delighted fans. Messi will be eager to make take in as much sun as possible ahead of returning back to his club duties with European giants Barcelona. Barcelona head off on their pre-season tour soon to the United States soon, where they will face Tottenham, Roma and AC Milan. Following their tour, Barcelona’s real business will start with their Spanish Super Cup clash against Sevilla on August 12.